In the 1990’s I was touring with jam bands around the U.S.A. I desired to live in the mountains and stopped in Colorado. I was probably 19. I discovered that where I had settled (which I thought was the middle of nowhere) there were two small casino towns 10 miles down the road. I was washing dishes for minimum wage, so I decided to check them out for employment. I worked from the bottom to the top – starting as a dishwasher, all the way into the admin departments. Something must have been ticking as I watched those coins drop. One day after work I looked up the domain names of the towns and low and behold, they were available (www.blackhawkcolorado.com and www.centralcitycolorado.com). I really knocked myself out trying to do business with land based casinos. I even built one casino’s website. I wasn’t making much. One day a check showed up from the Dominican Republic. The check was more money than I’d make in a half a year. I smelled success. I quit my casino jobs and began to expand my network. I rented office space in a closed casino, “The Crystal Carousel,” with a group of real estate agents. I moved to California and ultimately sold all the sites due to a medical emergency. While I was spending that money, it dawned on me that I better do something or I’d go broke. 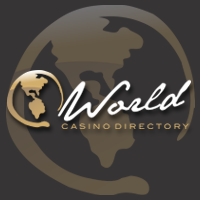 I purchased the World Casino Directory around 2005. The site had a lot of issues and made nothing. My current position is president of E3WD, INC which owns the sites. I am still directly involved with World Casino Directory. I have two daughters and I’m married to a former affiliate manager. The story is actually quite a bit longer, but for Otto’s sake, I’ll stop here. 1) World Casino Directory has over 2000 individual templates and subtemplates in use across the website. 2) In the last 10 years, World Casino Directory has been visited by over 30,000,000 unique users, or almost the entire population of Canada. 3) If you took every page on World Casino Directory indexed by Google, printed them out, and laid them out end to end, they would stretch almost the entire length of the Grand Canyon. My initial impression of your portal casino: wow, what a nice site! Worldcasinodirectory.com covers every aspect of the gambling industry. How do you manage to keep on churning out superb content and still stay on top of things in very competitive market place? Thank you. It all boils down to teamwork, systems and automation. I’ve been working with the same developer and now acting CEO for going on a decade. Our main player advocate and content creator has worked with us for over four years. My wife, Crystal also has been with the company for about three years now. The rest of our team seems to be sticking around too – many going on a year, so we’ve got a lot of help. It’s so easy to get overwhelmed once you get started in this industry. You absolutely have to develop a back office environment to manage things from. Ours is far from perfect, but anyone could operate our site with enough patience and will power. We’ve also created an algorithm that serves and ranks programs according to various metrics. We have systems laid out with employees to insure the entire site is cutting edge and up to date. We are constantly working on improving our base product. We still find gaps all the time (with a lot of help from our members), and to be honest, we have a to-do list about three miles long. The cyber gambling industry has often been described as a place where 'angels fear to tread'. Do you agree with this assessment? As affiliates who market online casinos, more often than not we're at the 'mercy' of the programs we promote. Over the years there's been numerous cases where programs have been caught out 'skimming' affiliates' commissions and players. Sadly, we can do absolutely nothing about. If it was up to you; which framework/legislation will you impose to prevent this from happening? I don’t really think there is any legislation that could fix that problem. We have laws against just about everything, but that doesn’t stop criminals. Even putting unscrupulous programs on trial in the court of public opinion doesn’t work very well. If the program is successfully taken to task for these sorts of things (for example, on a forum or watchdog site), they normally just change their names and aliases and pop up again. It’s like the game “Whack-a-Mole,” (if you’re familiar?) you whack one mole and another pops up. The great thing about technology to me is that you can come up with software solutions to mitigate or keep these issues in check. I’ve mentioned previously that we have an algorithm designed to analyze our traffic, earnings, payment history and other data. We use this information to rank programs where they earn. In other words make it pay to be honest with you. Sure, this is not perfect, but we don’t live in a perfect world. Figure it out, move on. Like most affiliates we believe we’d all make a lot more money if we didn’t have to play this cat and mouse game, but it’s there, what are you going to do? I guess if you have the stomach for law suits and can bring evidence to the court, you can sue them. I think that’s how regular business deal with theft. Let’s say you get mugged. Cops only show up after you call to report it. This is a civil case and would be dealt with in courts on an individual basis or class action. I doubt you’re going to create legislation where the government is out there spending tax money trying to protect gambling affiliates. The United States is hands down the world's biggest online gambling market. Can you tell us a bit more about the current climate in the U.S pertaining to regulation? Assuming Donald Trump does become the next U.S president (a huge if but one never knows) will it be advantageous to the industry as a whole? Donald Trump is a very divisive figure in America. That said, he’s always been a supporter of online gambling so one can always speculate what he might bring, but there is a lot more important stuff happening in the world these days, so I doubt it would be on any candidates’ front-burner. In a Forbes news article he is quoted as saying something about how the rest of the world is cashing in and as usual, America is missing out. As I mentioned, we really try to stay out of the political fray as much as we can and instead devote our time to being the best at what we do. In terms of compensation, I think every U.S. affiliate is disappointed that the “regulated” casinos have basically partnered with companies that we don’t feel have treated us the greatest in the past and offer such a pittance for our players. I don’t think it’s gotten them very far with affiliates, and I think in turn they could be doing much better. We just don’t have the time to market to such a small sliver of the population for bread crumbs. Also the difficulty of getting licensed in New Jersey is a hinder. We are not involved in gaming, just advertising. Is this really a “free market?” At least in Nevada we don’t have to jump through so many hoops. At times one gets a great affiliate program but lousy operator. Before you sign up with an affiliate program, are there certain criteria you take into account before you dot the 'T''s and cross the 'i''s? Basically, we don’t like promoting programs that operate crooked casinos. We normally visit a few forums and we will google the name of a program and its casinos to make sure there is nothing ridiculous going on. We don’t have a strict rule book for casinos at the moment, but we may add one in the future. I will also say that while we don’t normally take up players complaints, we have in the past and will hold any casino’s feet to the fire if we get a complaint from our visitors. Casino affiliate forums play an important role where affiliates get to discuss various issues that plague the industry. Which forums are you favorite and what sets them apart from the other ones? Do you think that some forums have become to commercialized and forgot to champion our cause? I post at CAP and GPWA occasionally, but primarily I hang out at the Affiliate Guard Dog. It’s not as big and to me it’s easier to find the threads I will be interested in. If something large is going on in the industry I usually head over to GPWA and look for the topic there because there will be a lot more people and opinions. I am a creature of habit and I know a lot of people at AGD. I also tend to read in spurts. I don’t like to spend too much time on the forums or I can’t get any work done. There's a discussion going on at AGD (http://www.affiliateguarddog.com/community/threads/welcome-wagerjoint-as-an-agd-certified-sponsor.9384/) where valued members 'KK' and Bet4You expressed their concerns about Slotjoint Casino's bonus terms. It seems like operators are including more and more terms that sounds like a dissertation to 'ensnare' the player. Are you a fan of the 'modern' bonus, please do elaborate? I'm concerned about unfair bonus offerings, and casino’s calling out bonus “abusers” – to me if they are within the terms of the agreement, the bonus is valid. I don’t mean bonus fraud, like someone signing up multiple times in an attempt to skirt the intended function of the bonus. I am aware of that thread. Actually the thread got split and is in two places now. I like dissenting voices, and I feel that KK and B4Y both have very valid points. I often bring their forum comments up to affiliate managers and other people in positions of authority when I’m in negotiations or signing up with a program. I also want to just say this quickly in defense of people like B4Y. Running off dissenting voices is a mistake. Of all the people I miss most in the forums its characters like Arkyt and Lots0. I’m afraid people are pushing Dave away. He is one of the more successful affiliates out there and he’s been involved longer than most. The amount of information that he has on companies running these outfits is enough to fill volumes. If you don’t like what someone is posting, just leave, don’t run them off. We are all adults here and it’s fairly simple to ignore people rather than silence them. You left a comment to one of the articles I wrote recently about your site's unique algorithm that rates and ranks operators based on transparency. Great concept by the way. Please tell us how it works? I hesitated to mention any of our proprietary technologies and I actually already talked about it in a few of the above questions. After careful thought however we actually decided the more people using tools like this, the better; things like this should help keep the industry more honest. 1. We use a variety of tools and we import our stats. With this data we give each program a score. The score is based on a variety of metrics over a variety of time frames. For example each click we send to a company is quantifiable. So we measure what each click is worth to each company in terms of revenue. We measure how many clicks it takes to get a depositor and so on. We spread this out over time frames (current month, previous month, average of last three months, twelve months, and so on) … we apply “credits” for good behavior… (the sooner the program is marked paid in a month, they quicker they get this credit.. so programs are rewarded for paying on time), and they get demotions for activities we don’t believe in, like bundling casinos (the practice of having multiple casinos in their stable, and counting the negative earnings of one against the positive earnings of another -- effectively canceling out your earnings), negative carryover and so on…. 2. The more checks you put in the algorithm the more dialed you can make it. You publish your top lists on this data and intuitively you can determine whether or not the list makes sense and fine tune it from there. 3. A next step would be to determine if a casino is a dud or the banners don’t convert by looking at things like impressions to click ratio. What’s the point of wasting ad space on a casino that is 15 years old that everyone knows about but no one signs up to anymore? On a scale of 1 to 10, I’d give casinos a “2” when it comes to transparency. As for being left in the cold, of course it’s deliberate but it varies on how bad things are depending on the casino. You easily can see that some Playtech casinos give all sorts of information about the player, but some casinos have purposely omitted fields – for example, withdrawals. This makes it almost impossible to audit. Why would a casino do that? So I’d say the blame falls directly on the casinos and the software companies. In terms of the jurisdictions leaving us out in the cold, I think it’s a bit like expecting the government to make sure Amazon is tracking properly – or that Bon Jovi is being paid proper royalties for his music being played on the radio. I think it’s unrealistic. The affiliate industry is relatively new, it has to grow up and protect itself. I’m not saying I have the answers, or like it, that’s just how it seems to be. The jurisdictions I’d think are going to be more interested in making sure the games are fair, players (citizens) are not being cheated, no one is laundering money (as you mentioned) and all taxes are being paid. Whether or not they are paying their business partners is likely to be thought a matter between those parties unless some lawsuit was brought forward. I suppose all is not work and no play. When you’re not working on your website what do you like to do in your 'me-time'? To me getting time to work is play! Honestly, I don’t very much “me” time. When I manage to get some, I’m usually going to be with my wife and kids or trying to see live music. We do a lot of gardening and are trying to become as self-sufficient as possible. We operate on solar and have a big orchard and gardens. Our industry has been blessed with some colorful and vibrant individuals. Who do you currently look up to and what did you learn from this person/s? Have you met any celebrities yet? I have not been extremely social in terms of going to conferences, parties, etc. I’ve only been to one conference in Amsterdam, in 2008. I did get to meet my good friend Les, who saved me by buying all my sites when I was in a tricky situation which funded the acquisition of World Casino Directory. I also met with Michael Corfman of Casino City / GPWA, whom I have a great deal of respect for. I learned the most from the friends I met in the early days at the GPWA whom I am not going to list all of them here. Celebrities… none in this industry… although it’s enabled me to meet some in other industries! When you do decide to hang up your mouse one day how would you liked to be remembered?